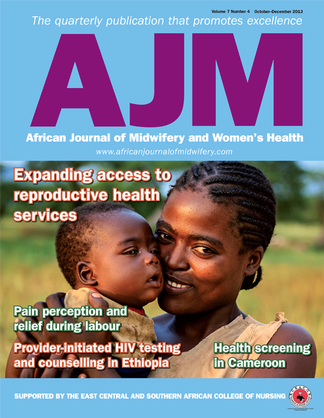 AJM (African Journal of Midwifery and Women's Health) is a quarterly peer-reviewed and evidence-based journal for midwives and nurses. It is aimed at those who wish to keep up-to-date with developments relating to midwifery and women's health in Africa. If you wish to remain informed on the latest developments in African midwifery and women's health, as well as further your professional development, then AJM is for you. Be the first person to tell us what you think about African Journal of Midwifery and Women&apos;s Health and you'll save £2.50 on your next purchase!